$1.25 billion over three years for a First-Time Home Buyer Incentive. Increase of the maximum available for withdrawal from $25,000 to $35,000 from a home buyer’s RRSP savings for the federal Home Buyer’s Plan. 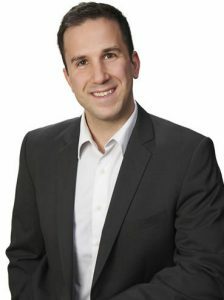 Eligible first-time home buyers who have the minimum down payment for an insured mortgage may apply with the Canadian Mortgage and Housing Corporation (CMHC) to receive a 10 per cent shared equity mortgage on a new build home purchase or five per cent shared equity mortgage on a resale home purchase. The federal government estimates that approximately 100,000 first-time home buyers will benefit from the incentive over the next 3 years. The purpose of this “shared equity” mortgage is to lower the monthly mortgage payments for the first-time home buyers which allows them to enter the real estate market while previously, they may not have been able to do so. Additionally, providing larger shared equity mortgage for newly constructed homes may encourage home construction to assist with housing supply. There are certain eligibility criteria that buyers must be aware of. The buyers’ household must have a household income of under $120,000 per year and the participants’ insured mortgage and the incentive amount cannot be greater than four times the participants’ annual household incomes. The amount that a buyer may withdrawal from their RRSP using the “Home Buyer’s Plan” is being increased from the current amount of $25,000 to $35,000. This assists the buyer with greater access to their Registered Retirement Savings Plan savings to purchase a home. Additionally, the Home Buyer’s Plan will now apply to non-first-time buyers who experience a breakdown in marriage or common-law partnership. It is important to remember that the funds borrowed form the buyer’s RRSP must be repaid within 15 years. The government intends to increase home supply by building 42,500 new housing units in low-supply areas for rentals through an expanded Rental Construction Financing Initiative. To accomplish this, the federal government plans to make an additional $10 billion in financing available over nine years. Currently, the Rental Construction Financing Initiative provides low-cost loans to assist with construction of rental housing across Canada where there is a required need. The initiative provides up to $3.75 billion in loans. Seth D. Freedman is an Associate with Kormans LLP. His practice areas include residential and commercial real estate, corporate and commercial law, and wills and estates. You can reach Seth at sfreedman@kormans.ca All blog entries are for your reading pleasure only and are not posted to provide legal advice. For your matter, we encourage you to consult with a lawyer to review and discuss your specific facts and circumstances.